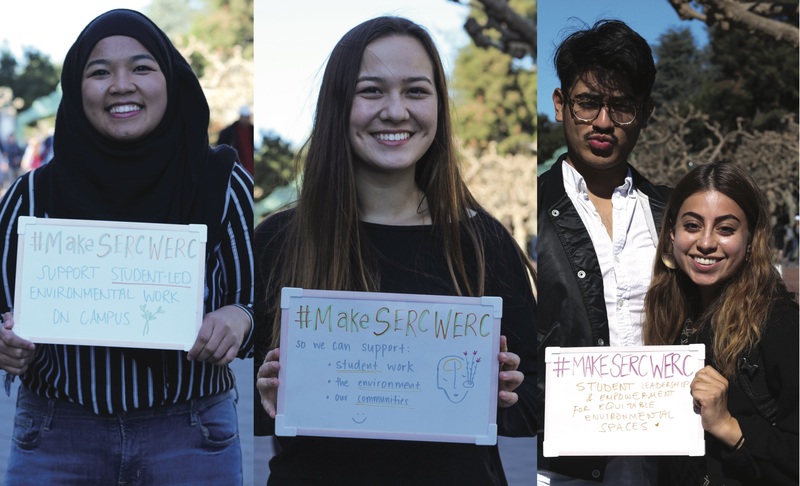 SERC is a collaborative space to strengthen the collective effectiveness of the sustainability community, and provides resources for students to actualize their vision of a more equitable, socially just, and resilient future. 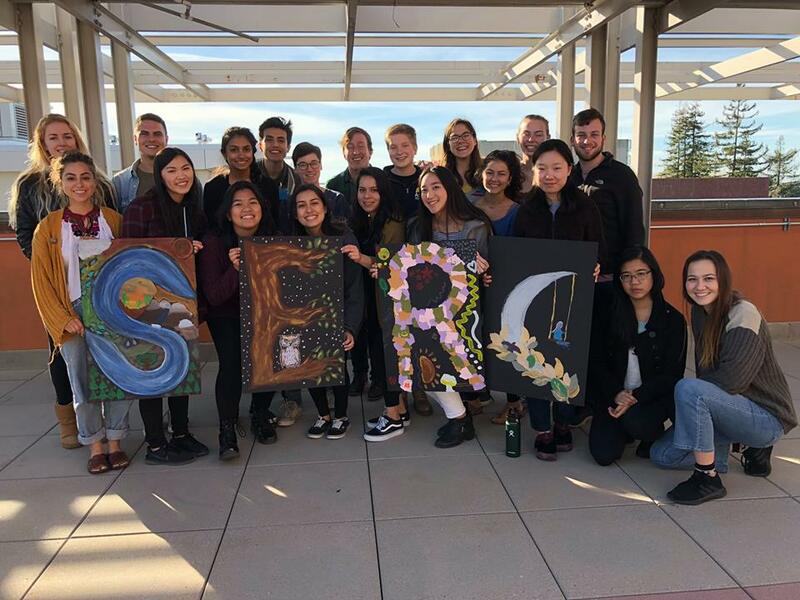 Since its creation by students in 2012, SERC has aimed to provide in-depth educational, social, professional, leadership and financial opportunities and programs for students at UC Berkeley. SERC programs and services are made possible by dedicated and passionate student staff. SERC employs 25 student staff and 2 professional staff to implement various programs and services. Hiring student staff creates a professional platform for students to pursue their passions and learn directly through trial and error. SERC professional staff also provide advising and support for campus sustainability initiatives, projects, and campaigns. In 2011, students noticed a lack of a center that aims to support students working on sustainability projects and initiatives on the UCB campus. 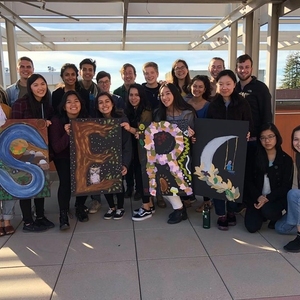 Inspired by resource centers at community colleges that provide cohesion for sustainability work, SERC was desired as a student-driven entity that helps advance sustainability on campus. 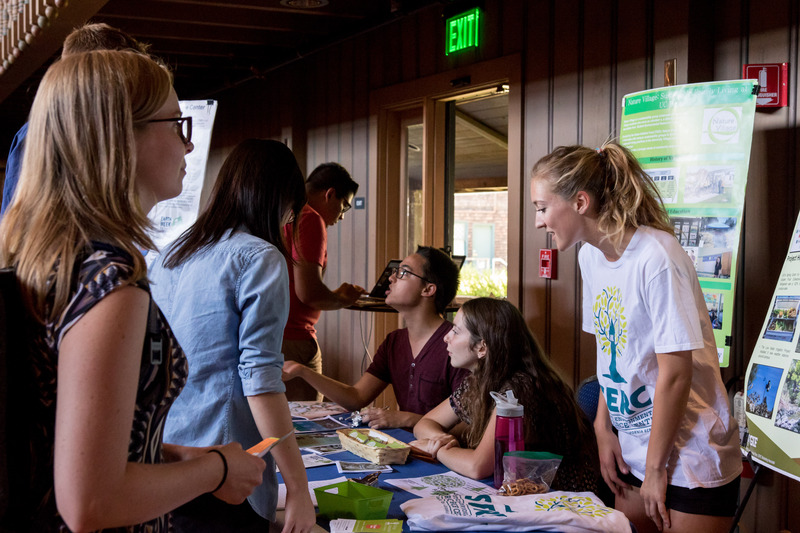 Students led a campaign to institutionalize sustainability on campus through the Student Environmental Resource Center, which quickly became recognizable as SERC. SERC became the home department for the campus green fund, The Green Initiative Fund (TGIF), and SERC has grown and developed into a full-fledged program in the past 6 years. While there is always room for growth and improvement, SERC now employs roughly 25 student staff and advises the 50+ campus environmental sustainability Registered Student Organizations (RSOs). SERC values include Conscious Impact, Equity and Inclusion, Community Engagement, Student Sovereignty, and Bold Imagination. Professional and student staff working on TGIF and SERC provide institutional memory for our campus programs that keeps them moving forward and fills in the gaps from year to year. Since TGIF's inception, TGIF has funded over $2.8 million to over 200 projects. The Student Environmental Resource Center is an ongoing offering of programs and services. The current organizational chart, which can be found at serc.berkeley.edu/staff/, includes teams broken down into 5 teams as follows: The Green Initiative Fund (TGIF) Team (1 professional staff and 2 student staff); Programs & Services Team (5 student staff); Internal Operations Team (5 student staff); Advisees Team (50+ environmental organization, 2 student staff, and 2 fellows); and the Zero Waste Research Center Team (8 student staff). The first team, TGIF Team, distributes grant funding for sustainability projects for the campus through a fall mini-grants and spring grants cycle. TGIF acts as one of the largest program initiatives within SERC by providing direct funds for students to realize their sustainability ideas for the campus. TGIF has 8 project themes and has award over $2.8 million over the past 10 years of its operations. Student staff help run the program by assisting TGIF’s Coordinator, one of 2 professional staff within SERC, on the day to day facilitation of grant cycles and project management. TGIF has funded over 200 projects for the campus, with about 50 active projects, all of which SERC helps organize and advise. TGIF is facilitated collaboratively by a Committee comprised of both voting and non-voting members. The second team, Programs and Services Team, is broken down into 5 student staff positions, an Advocacy & Action Associate, Community Engagement Associate, Events Associate, Academic and Professional Development Associate and Solar Spring Break Team Leads. Through this team, SERC has a volunteer membership program, hosts wellness activities such as space to study and work together on projects, plans numerous sustainability events throughout the academic year including a full Earth Week and events throughout Earth Month and community building events, provides career and extramural / co-curricular learning opportunities in collaboration with the Career Center and off-campus partners, provides resources for DeCal (student-taught and -led) courses and travel and professional development opportunities including conferences and workshops, and offers an alternative spring break program for students with Grid Alternatives, where students learn about solar and install solar panels for qualified homes. The Advocacy & Action Associate from the Programs & Services Team works closely with the Environmental Justice Associate from the Internal Operations Team to plan workshops on environmental justice-related topics, including a new series on "Decolonizing the Environment." The third team, Internal Operations Team, focuses on keeping the momentum of SERC going and on outreach efforts. The team is broken down into a Blog Manager, Development Associate, Graphic Designer, Social Marketing Associate and Environmental Justice Associate. In addition to running a blog that features frequent new articles, the Internal Operations Team actively works to fundraise for SERC, promote SERC through social media platforms and implement environmental equity internally and programmatically. The fourth team, the Advisees Team, includes 50+ environmental organization, a sustainable living program initiative known as Nature Village for a UC-owned village north of campus, the Building Sustainability at Cal initiative that focuses on LEED and other green certifications for buildings on campus, and two fellows, the UC Office of the President Carbon Neutrality Initiative and My Last Trash Campaign Fellows. This team works more tangentially with SERC, although SERC provides support, advising and resources for people working on these initiatives. The last team, the Zero Waste Research Center Team, is broken into 3 sub-teams. Due to several TGIF grants, the Zero Waste Research Center includes a Vermicomposting Team focused on institutionalizing circular organic waste systems through vermicomposting, Zero Waste Team focused on institutionalizing circular plastics and paper recycling and on researching ways that the campus can achieve the goal of becoming Zero Waste by 2020, and Green Team focused on greening the Student Union buildings, of which there are 2 on campus. Collectively, SERC has a widespread impact on campus and relies on the work and insights of students to implement its many projects, programs, and services. 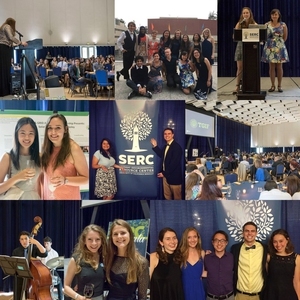 At the end of the spring semester, SERC hosts annually a Gala for over 200 attendees that celebrates the work of the sustainability community at Cal. As a campus department, SERC requires an ongoing process of implementation. Students applied for Chancellor's Advisory Committee on Student Services and Fees (CACSSF) recurring funding in 2011 and received funding the following year to start SERC. Milestones from TGIF and SERC include Berkeley’s first native plant nursery in 2008, Berkeley’s first student food collective in 2009, the first standardized recycling system in 2009, first bicycle cooperative in 2009, first student environmental resource center in 2012, first zero waste research center in 2013, first SERC Gala in 2014 and first environmental justice thematic grant cycle in 2018. In 2016, SERC achieved two major accomplishments: SERC successfully renewed The Green Initiative Fund at an increased fee until 2027, and SERC was awarded 1,350 sq. feet to open its first center in the Martin Luther King (MLK) Student Union basement in Spring 2019. SERC is made possible by grant funding. SERC receives recurring grant funding of $125,000 from the Chancellor’s Advisory Committee on Student Services and Fees (CACSSF), a discretionary fund on campus that is governed by a Committee of voting members. Programs and services within SERC have also been largely supported by The Green Initiative Fund (TGIF) on campus. The overall operating budget of SERC is over $150,000 annually. SERC has also applied for and received extramural grants from off-campus entities and has received funding through other partnerships like one with Brita, collecting $10,000 from 2017-2018. Since the renewal and accompanying fee increase in 2017, TGIF's budget is close to $400,000 annually, having given out $15,000 in mini grants in fall 2017 and over $300,000 in grants spring 2018. 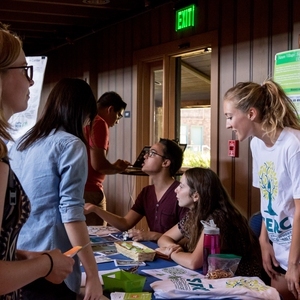 SERC has hosted dozens of workshops and has directly shaped the direction of sustainability on UC Berkeley’s campus. The program started with but a few student staff and has grown to employ 25 student staff and two full-time professional staff, providing co-curricular and professional and leadership development opportunities for students to confidently pursue their dreams and become equipped to enter the world post-graduation with a set of skills useful for success. At the beginning of each semester, SERC hosts a retreat for its student staff to go over division of roles and responsibilities, and the SERC Director meets with 20+ students every week during the academic year to move forward with its programs and services. SERC is always looking to partner with projects and new initiatives both on and off campus. Partners on the program include Grid Alternatives, DeCal facilitators (student-led courses offered by the University), ASUC Student Union, UCB Career Center, Parking & Transportation (P&T), UCB Energy Office, College of Engineering, Cal Zero Waste (CZW), the Office of Sustainability (OS), Residential Student Services Program (RSSP), Cal Dining, and workshop presenters and speakers. Other SERC partners include Berkeley Ecology Center, Telegraph Berkeley Business Improvement District (TBBID), Berkeley Climate Action Coalition, Post Landfill Action Network (PLAN), UCB Environment, Health & Safety (EH&S), Berkeley Food Institute (BFI), Chancellor’s Advisory Committee on Sustainability (CACS), Chancellor’s Advisory Committee on Student Services and Fees (CACSSF), and UCB College of Natural Resources. SERC advises over 50+ student organizations, and TGIF advises 40+ environmental sustainability grant projects. A main focus of SERC is providing institutional support for sustainability projects, programs and services offered on campus and strengthening community among sustainability students, staff and faculty. Through offering its programs and services over the past 6 years, SERC and TGIF have learned quite a bit. Focusing on student-led and student-centered work has been crucial to SERC and TGIF’s success, and forming valuable partnerships with entities both on and off campus has contributed to better and more well thought out offerings. Being as transparent as possible has also enabled SERC and TGIF to be successful. Collecting metrics on grant projects helps TGIF demonstrate its success as a grant program, and adaptability regarding changing environmental trends and higher education trends has allowed SERC and TGIF to demonstrate resilience and continue to grow, change with the times, and develop itself into a successful resource center for all students on campus. 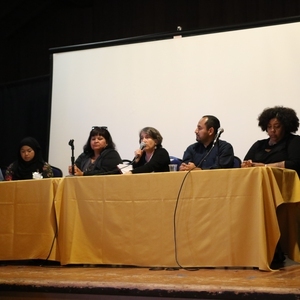 Recently, SERC has implemented through TGIF the first-ever environmental justice thematic grant cycle on a college campus, allowing for just under 10 new exciting environmental equity initiatives to receive funding on UC Berkeley’s campus. While imperfect, TGIF’s environmental justice thematic grant cycle has demonstrated SERC and TGIF’s commitment to environmental justice and environmental equity, and to supporting those most marginalized and excluded from “mainstream environmentalism.” TGIF additionally has added an 8th project theme that focuses on environmental justice, in addition to more traditional sustainability topics. Implementing environmental equity has proven to be much more challenging than initially idealized. Overall, supporting student ideas and student efforts has been largely beneficial for SERC’s success. 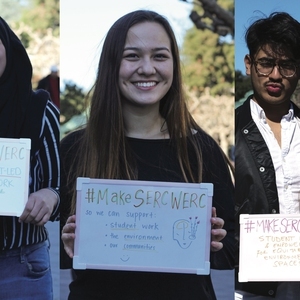 In the past year and a half, SERC has also begun a strategic planning process that hopes to pave the path forward for its efforts on UC Berkeley’s campus. A general lesson learned has been staying true to our larger mission as a department despite obstacles working in a larger bureaucratic system. It’s been a challenge to try to advance sustainability in higher education and the larger sustainability movement, but it’s important that we have hope and continue to fight for it.